You are currently browsing the Pontiac Paradise Shop Talk weblog archives for November, 2009. 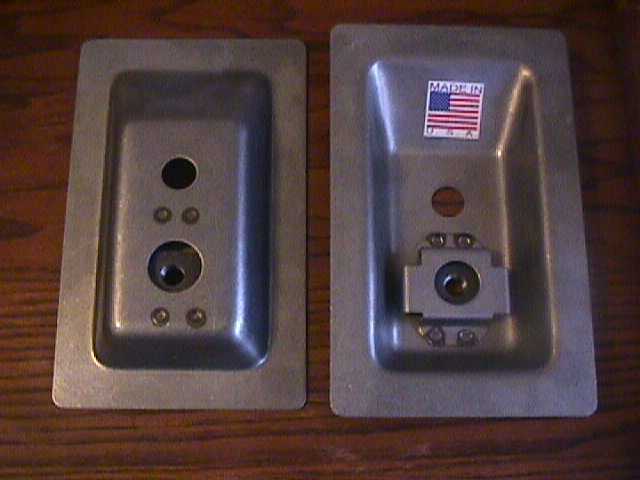 REPRO TRUNK MOUNTS SHIPPED DAILY! As some of you may have noticed, PontiacParadise.com is starting to reproduce certain items sorely needed in the restoration of our cars. For the past two years, I have sworn I was going to the SEMI Show in Las Vegas. I had registered for both shows and even obtained hotel rooms. Both years, I have passed at the last moment. The intent was to go to the huge amount of vendors, mainly from China, to obtain reproduction parts at some sort of cheap price. It breaks my heart that the most industrialized country in the world can’t even make it’s own TV sets, much less somewhat easy car parts. PontiacParadise.com taking the lead in BIG CAR REPRODUCTIONS! PontiacParadise.com is taking the lead in the small world of big car reprodution parts. The upcoming release of our universal trunk mount on January 1st, 2010 marks the start of many good things to come. PontiacParadise.com has made the commitment to provide items sorely needed in the restoration of 1961 to 1968 full sized Pontiacs. First up after the trunk mount, will be 1965-66 full size battery boxes. Most people have never seen a good 65-66 battery box. After a 3 year search, we finally have a pattern. Also coming will be 65-68 z-bar mounts, 61-62 and 63-64 throwout bearing arms (clutch forks) and both 63 and 64 tachometer mounting brackets. Have an idea of something that REALLY needs to be repro’d? Please share it! Watch this site for updates!